You can buy Pepsie & Mountain dew made with Real Sugar but still doesn't taste the same. Changed formula to increase profits and not the same as when in a glass bottle. 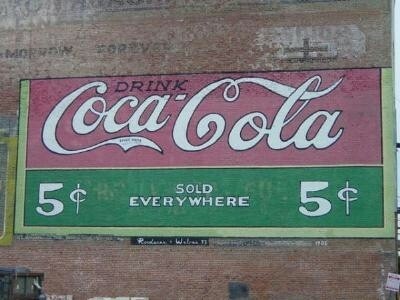 I think many people believed that about cola syrup, GlenEllyn. Seems to me that my mother or grandmother recommended it to me, and that small bottles of it were (and perhaps still are) sold in pharmacies. When I was in high school, I worked in a shopping mall snack bar with a woman who firmly believed that pure coke syrup was the best remedy for an upset stomach. She was right - just a spoonful, though, not a full glass. She'd fiddle with the fountain and get just a couple of squirts of syrup rather than the usual mixture of syrup, water and CO2. Wow, really? And Passover just passed! Wish I'd read this earlier. 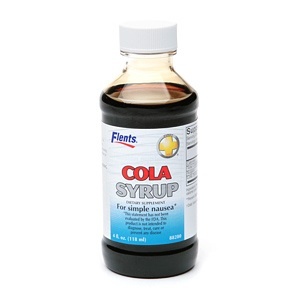 One of the highlights of my childhood was the time I convinced the candystore guy to let me have a little glass of pure Coca-Cola fountain syrup. Oh, joy. If you want Coke with real sugar and you live in an area that has a Jewish population, look for kosher for Passover Coke in the spring, the weeks before Passover. It is made with real sugar. Stock up. And the taste is different ever since they went to corn syrup rather than sugar. I saw a promotional cooler for 6-oz. Cokes in a convenience store last week. In it, those little bottles were priced at 99 cents each. Sheeeeeeeesh!!!! !